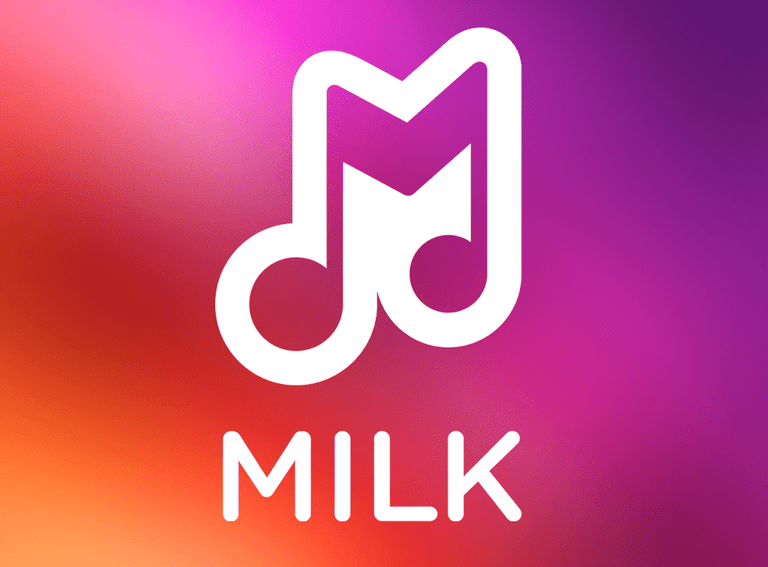 If you like streaming music to your Galaxy phone then you may have used Samsung's own service, called Milk Music. It was originally launched by the electronics giant in 2014 to compete with other personalized internet radio services, and, as a result, it served up audio streams to your device in radio-style. Then again, you may not even have realized that Samsung offered a streaming music service at all. It's no surprise really. After only a couple of years, Samsung discontinued the service. Compared to some of the better-known and established services, such as Spotify and Pandora Radio, it wasn't nearly as popular. Milk didn't make it because Samsung only offered the service to owners of one of its select devices. Another reason why Milk Music had limited success was its lack of global coverage. The service never extended beyond the United States and Canada because the company used Slacker Radio's platform to provide the content, and Slacker doesn't go beyond these two countries. Fortunately, there are several alternatives to Milk Music that work just great on Galaxy smartphones. Here are a few alternatives. Offline play with downloaded tracks. User interface overly focused on social media. Intrusive ads with free service. Because Milk Music was powered by Slacker Radio, it may make sense to switch to this service if you already like the content you have. However, if you live outside the United States or Canada, you need to try out a different service. With the Slacker Radio Android app, you stream music to your Galaxy using the familiar stations format. Using the basic level of this service doesn't require a subscription, so you can listen for free just as you did with Milk Music. After installing this app on your smartphone, you have access to over 200 precompiled radio stations. Along with listening to these professionally curated radio stations, you can compile your own custom ones. A monthly fee upgrading to Slacker Radio Plus adds more features including the removal of ads and an unlimited amount of song skips. One of the best features of the paid-for level is being able to download songs to your Galaxy's storage space, which is useful when you aren't connected to the internet. Overall, Slacker Radio's free app is worth looking at if you want a Milk Music alternative that's also great for discovering new music. Prompt access to newly released songs. Weekly Discover playlist based on user's listening habits. Free accounts contain lots of ads. Discover algorithm is slow to learn. What list would be complete without mentioning the hugely popular Spotify music service. It's grown to global scale and is now available in many different countries. The Spotify app for Android enables you to do quite a bit on your Galaxy device. If you haven't used Spotify much then you may think that it doesn't have a radio feature, but it does and is, therefore, an excellent substitute for Milk Music. The free version of Spotify comes with a personalized radio option so you can listen to songs that fit your type of music. Just like other services such as Pandora Radio, the more you personalize your listening the better Spotify gets at playing music you like. Although you don't have to pay to use the free Spotify level, it comes with advertisements, so you may at some point want to upgrade to Spotify Premium if you use it a lot. Premium removes the ads, and you can play songs in any order rather than having to use the read-only Shuffle Play mode. You're not limited to the number of skips you can do per hour either with a monthly subscription. The free version allows a maximum of six skips. Even if you stay at the free streaming level and don't pay a subscription fee, you can use the Spotify app to import your own songs and playlists and use your wireless network (Wi-Fi) to sync this content. However, to get the best out of this service (and your Galaxy), the Spotify Premium level offers a lot of extras worth considering. You can, for example, use an option called Offline Mode. This handy feature gives you the option to store songs on your Galaxy. However, before you get too excited at the prospect of downloading songs to keep forever, they are only playable while you pay a subscription fee. That said, it's still useful for times when you can't be connected to the internet. The biggest advantage of the Premium level is that you get an unlimited amount of streaming. Create stations based on favorite artists, songs, or genres. Train Pandora using thumbs-up or thumbs-down on music selections. Highly accurate algorithm predicts music users like with accuracy. Frequent ads in free plan. Relatively low bitrate of 128 Kbps for free plan and 192 Kbps for paid plan. Another stellar alternative for your Samsung Galaxy is Pandora Radio, operated by SiriusXM Satellite Radio.. Installing the free Pandora Radio app on your Galaxy device is certainly worth it if you want an upgrade from Milk Music. For music discovery in radio style, Pandora has an excellent thumbs up/down system that is driven at its core by the company's unique Music Genome Project. This is designed to learn your likes and dislikes in order to improve accuracy in suggesting new songs in the future. It certainly works well and you'd be hard-pushed to find a better resource for your personalized music listening needs. You can listen for free via the app and create stations based on a particular artist, song or even a genre if you want a broader mix of tracks. Just like other services that offer free streaming, there is a skip limit along with advertisements. The subscription levels remove ads and also increase how many skips you can make in a 24-hour period. For a free account, you can make six skips per station in one hour with a daily total of 24 skips allowed in one day. This limit is reset after 24 hours. Even though the skips limit can be annoying at times, Pandora Radio is still a great alternative for your Galaxy device for discovering new music in radio style. Custom radio stations based on a favorite artist or band. Sections for artist bios, news, and events. Paid subscription required for unlimited song skips and on-demand play. If you want to stream live radio to your Galaxy, then installing the iHeartRadio app could be the ideal solution. There are currently over 1,500 stations you can access using this service. It is perhaps one of the most widely used internet radio resources of this type. With the app installed on your device, you can create custom radio stations based on a song or artist. There's also a favorites option so you can save the stations you've made. These can also be shared via the app too, which is a nice social networking feature. If you're looking for something different from the usual crop of music services then iHeartRadio is a good choice when you want a music discovery tool to replace Samsung's Milk Music.